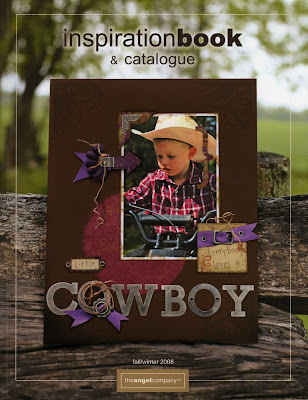 I am a scrapbooker first and a cardmaker second. My focus for the last year however has been on making cards but that is starting to change now that I have another little one in the house! It's time to start working on my scrapbooks again too! So, if you are like me, you want to get everything you can out of your stamps. I want to share some tips on how to do that by incorporating your "card" stamp sets into "scrapbooking" sets as well! This is a 2-page 12x12 scrapbook spread that I put together a few weeks ago. The patterned paper is not TAC's but if I would have had the new Angelee paper line that is in TAC's newest book, I would have used that instead!! Tip #1: Using only one piece of patterned paper: A lot of times I only have one piece of patterned paper to work with. That's fine! It saves me money! If I buy TAC's paper packs or if I pick the paper up at the scrapbook store, I really only need ONE piece! Why? Because I don't want to overly distract from my photos by having too much distration in the background! Especially since I am one who likes embellishements! So, cut your paper up and place it on your page to ENHANCE your photos but not overdo your page! You can see how I used one piece of 12x12 patterned floral paper on my pages shown here--I used some on both pages (and I still have scraps left over!). Tip #2: Make your own embellishments using your stamps. 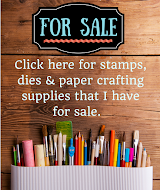 You can also make your journaling and titles using your stamps as well! You can see how I made all of my own circle embellishments and then used stamps and other inexpensive items to add interest. Each circle has been stamped with a color that coordinates with the paper. The words below were stamped from the TAC "Diva Dresses" set and on the circles I used swirl stamps. I also used "Blooming Builders", "Petal Pack" & "Fanciful Flowers" on the other circles on the pages. Tip #3: Use your punches, decorative scissors or paper trimmers to create decorative elements. You can see that I punched the circles out using my circle punches and used scissors to make the scallops. I also using my corner rounder punch to make the round edge on the "beautiful girl" piece above. 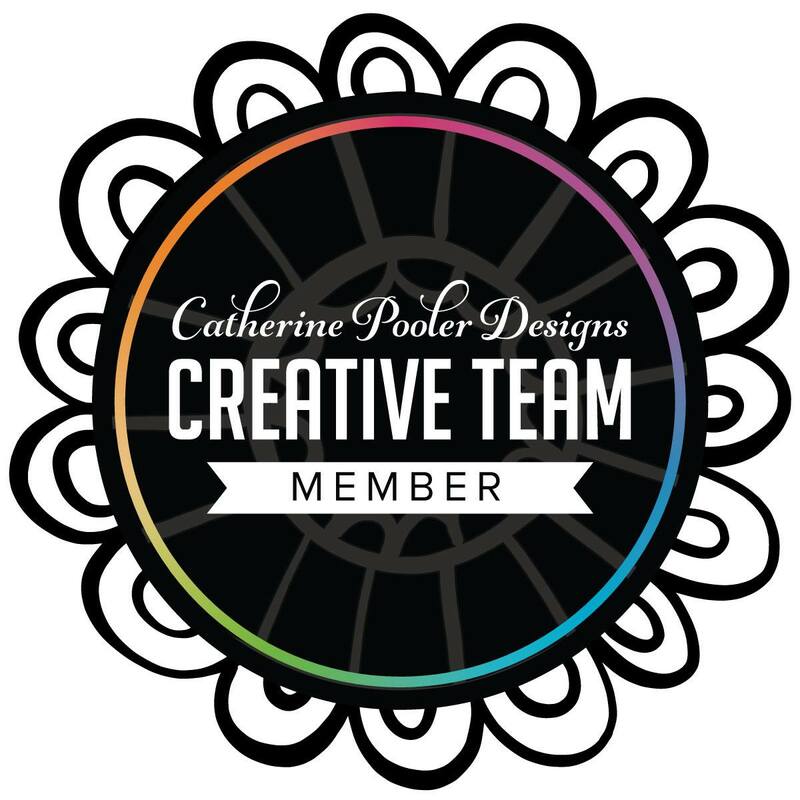 Tip #4: Use eyelets and brads (which are fairly inexpensive) to create flower centers or add interest to your stamped images. The purple eylet below is from the TAC Toodle Loo hardware set. This gives the stamped flower even more interest. I also stamped that flower in two different colors. Tip #5: Use gel pens--glittering, gelly, or souffle--to add additional interest. Many of the flower centers have been colored in with Stardust Glitter pens--which I LOVE to use!! And, if you look closely at the closeup of the "T" above you will notice that I used my gray tombow marker to outline the title to help draw it out and add dimension. Tip #6: Use your ink pads and outline your embellishements and/or photo mats. This helps to create visual interest and help your images pop. Tip #7: Use pop dots to create dimension. You'll notice that some of the circles are popped up. I love adding dimension to my pages and this is a super easy way to do it!! I go through lots and lots of pop dots!! 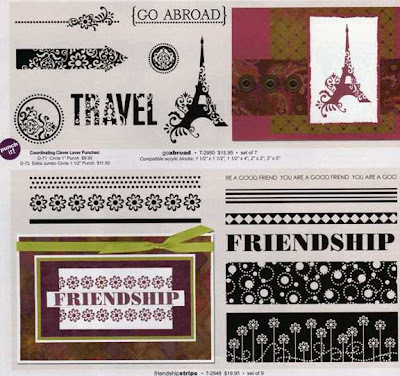 Hopefully this will give you some ideas on how to incorporate stamps into your scrapbook layouts. By doing this, you WILL save money!! Lately most of the gifts I've given are gift cards. I wanted to make something cool to insert the gift cards in so I made a card out of an envelope. I folded the envelope in half, then cut off half the top flap at the crease and sealed the other half down. I stamped the envelope and then glued it to a mat with a ribbon attached between the envelope and mat layers that would later tie the card closed. 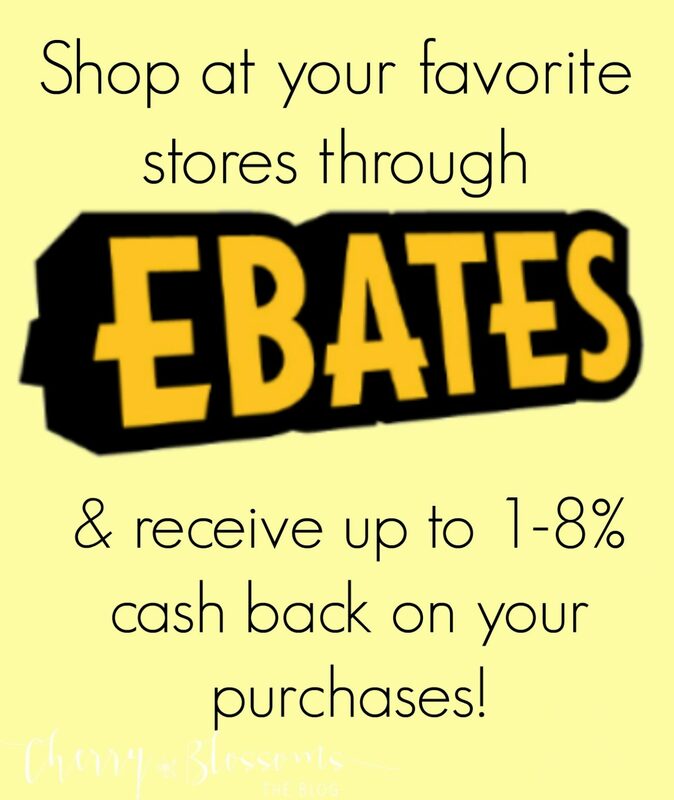 If you aren't giving a gift card, no problem! Just make a little piece that pulls out of the pocket, like pictured, and write your message on that. It works for all occasions too! Very simple. Very fast. Very fun. NEW Fall/Winter TAC Idea Book/Catalogue is Here!! Want to take a peek inside?? 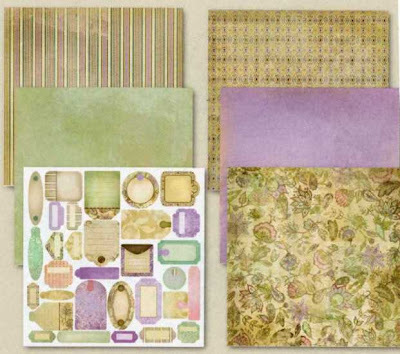 Here is a beautiful new paper collection called Angelee. You can bet that this is also on my first order!! Another one of my favorite new sets is one that I've already shown you in the sneak peeks called "Butterfly Bits". Can't wait to play with that one!! The newest Gift With Purchase (GWP) stamps are very versatile this time too and can be used for both cards and scrapbook pages (I love a stamp that has many uses!!). And, I'm also really liking this new alphabet stamp set called Fancy Bet. There's A LOT more to see inside so if you want your own copy of the newest catalogue and idea book, be sure to let me know!! I should get my shipment of catalogues next week!! How fun is this set?? 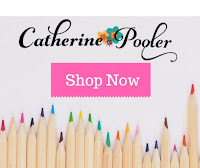 Perfect for all those Spring/Summer cards and scrapbook pages! Now you can make the flowers look just like YOU want and add the stem and leaves too!! The best part is that it is available to order NOW for only $15.95. So, while you're making your discontinued wish list out, be sure to add this set too! 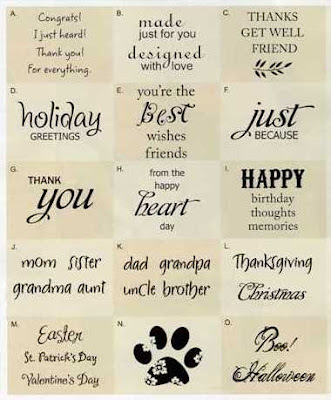 And, to see a card made using this set, visit TAC's webpage by clicking here!